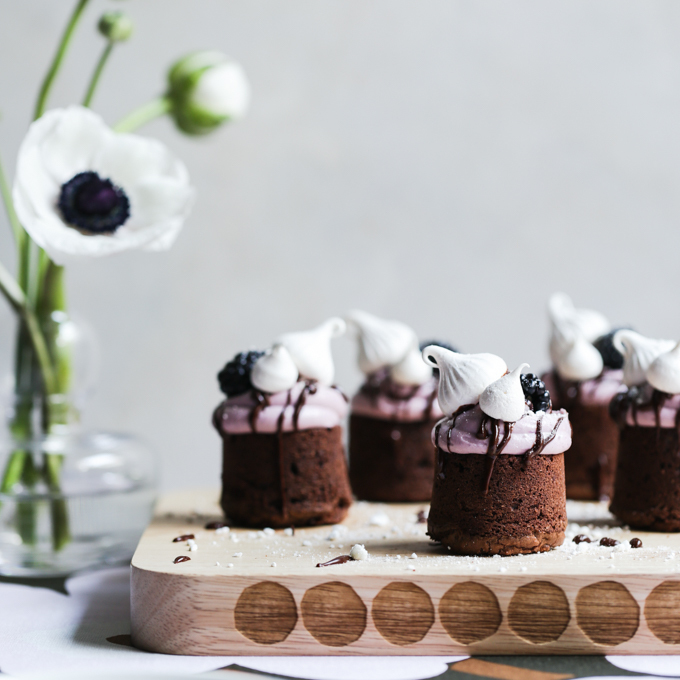 These darling mini pavlovas draw on Middle Eastern flavours to create beautiful individual desserts for any occasion. 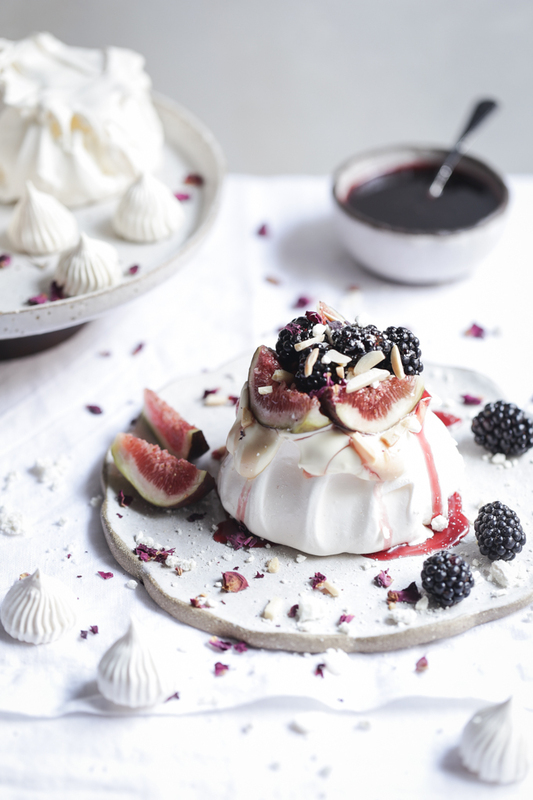 The crispy sweet rosewater pavlova shells give way to soft marshmallowy interiors, and create a delightful backdrop in which to enjoy the gorgeous late summer fruits of fresh figs and tart blackberries. 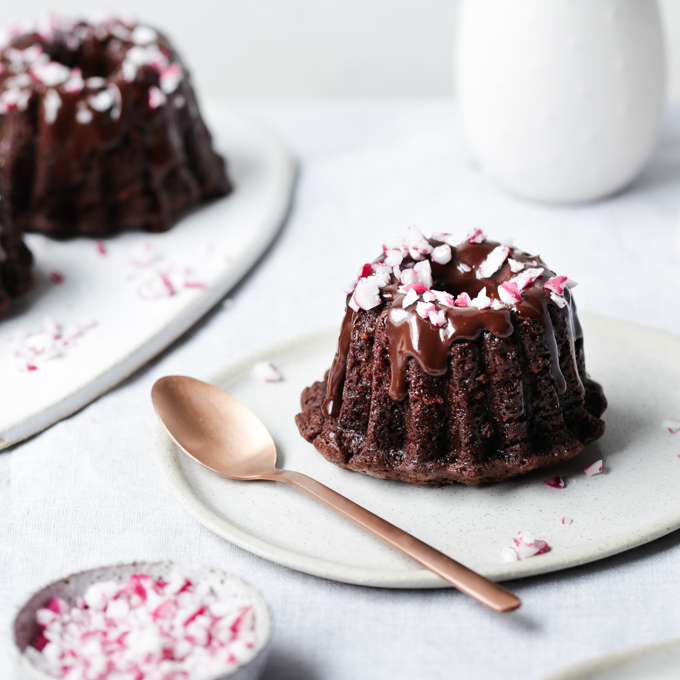 The sweetness is tempered perfectly by a pomegranate syrup infused with spicy notes of cinnamon, cardamom and cloves, and sprinkled with roasted slivered almonds to provide a little extra texture and crunch. 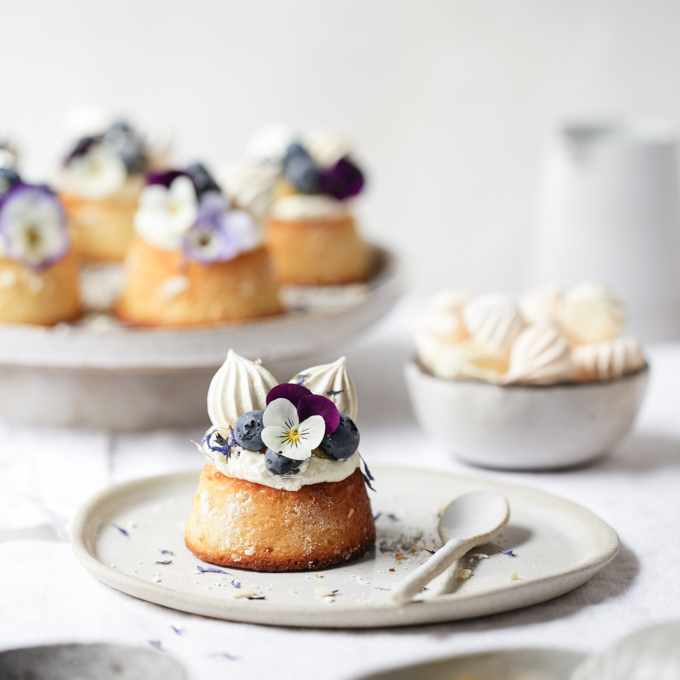 Decorated with dried rose petals for a final flourish, these mini pavlovas make the most enchanting treats. (2) The actual process of making pavlova is fairly simple, but it needs a little patience and know-how to turn out just right. 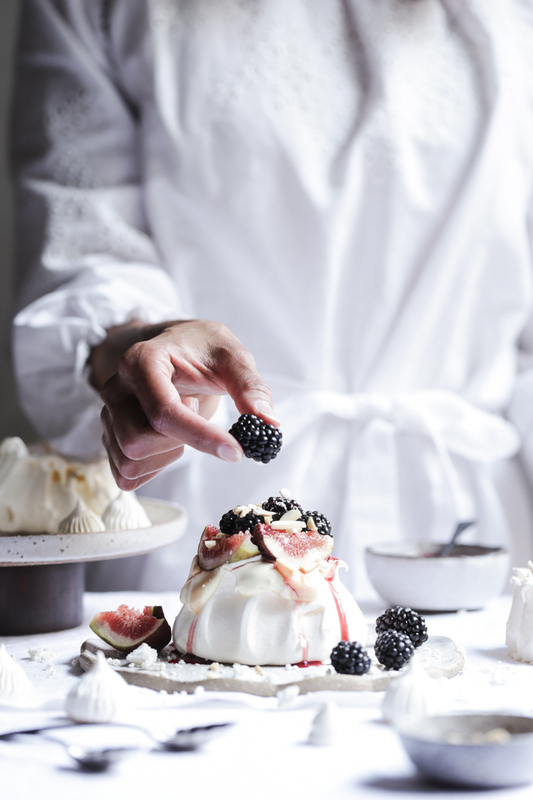 To ensure the pavlovas are completely crisp when baked, avoid making them on humid or rainy days (or if your local climate is always humid or rainy, crank the air-conditioning up in the kitchen to ensure the air is dry when you’re baking). 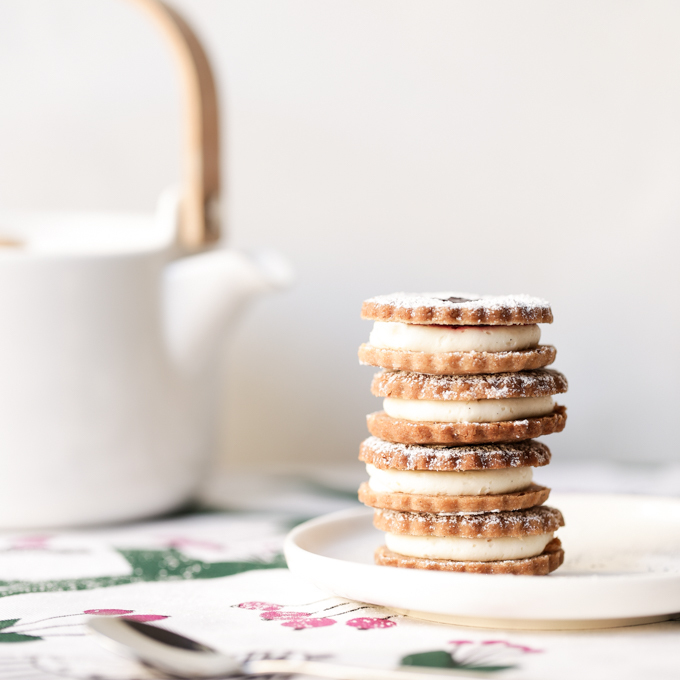 To avoid your pavlovas browning and losing their lovely pearly-white tone, bake on the bottom shelf of your oven using a low heat. 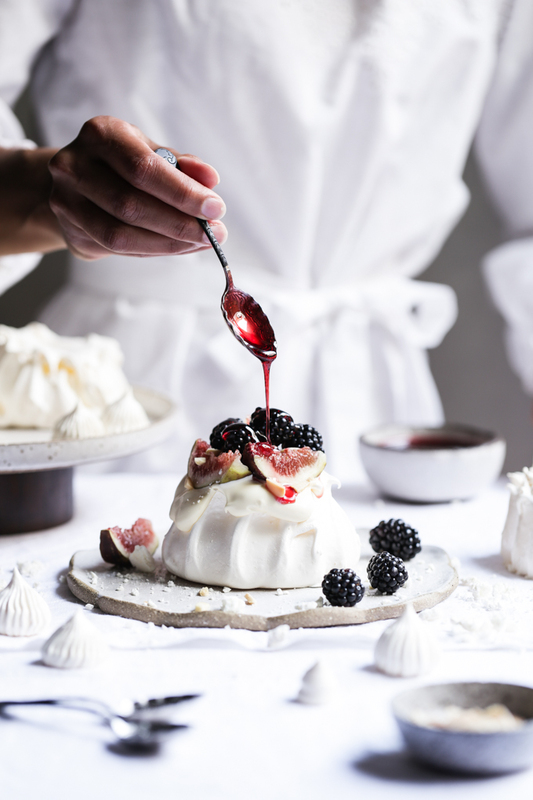 To ensure your pavlovas don’t spread excessively when baked, the meringue must be whisked to very stiff peaks (you should be able to hold it upside down above your head and the meringue should not slide out of the bowl!). 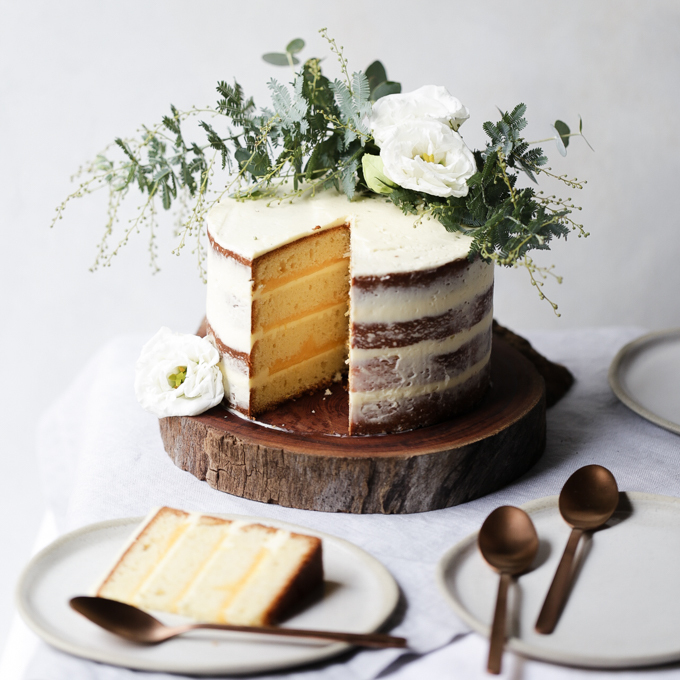 To prevent little bubbles all over the pavlova surface, ensure the sugar has completely dissolved in the egg white (it should not feel gritty when rubbed between your fingers), and don’t overbake it. Finally, to avoid a cracked or collapsed pavlova, allow a copious amount of time to cool down very slowly. 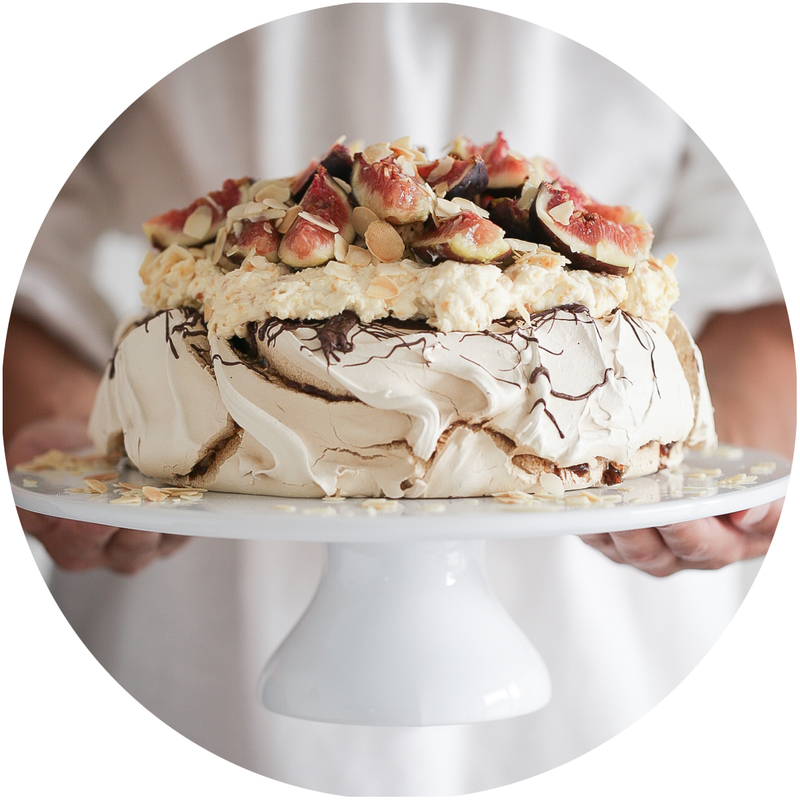 (3) The pavlovas can be made in advance and will keep crisp in an airtight container in for at least 24 hours. 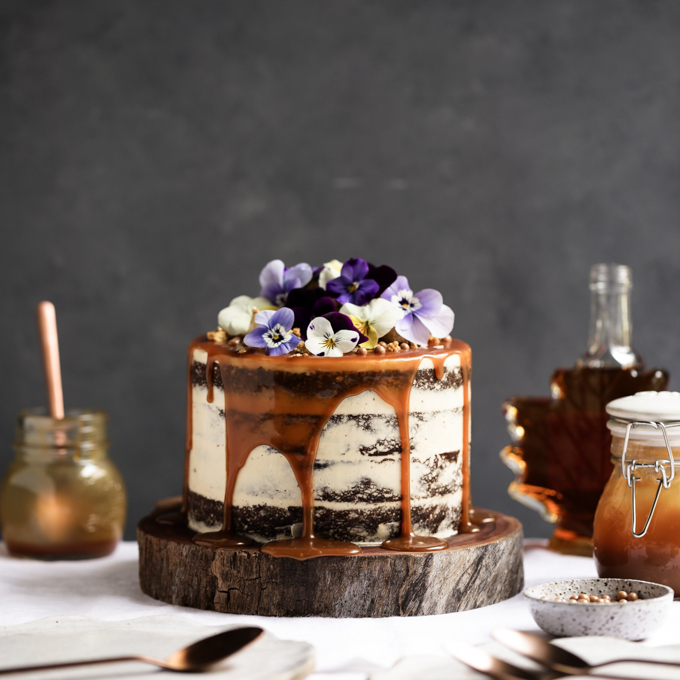 After assembling the pavlovas together with the cream, fruits and syrup, however, they should be served immediately as the moistness will quickly soften and degrade the quality of the meringue. 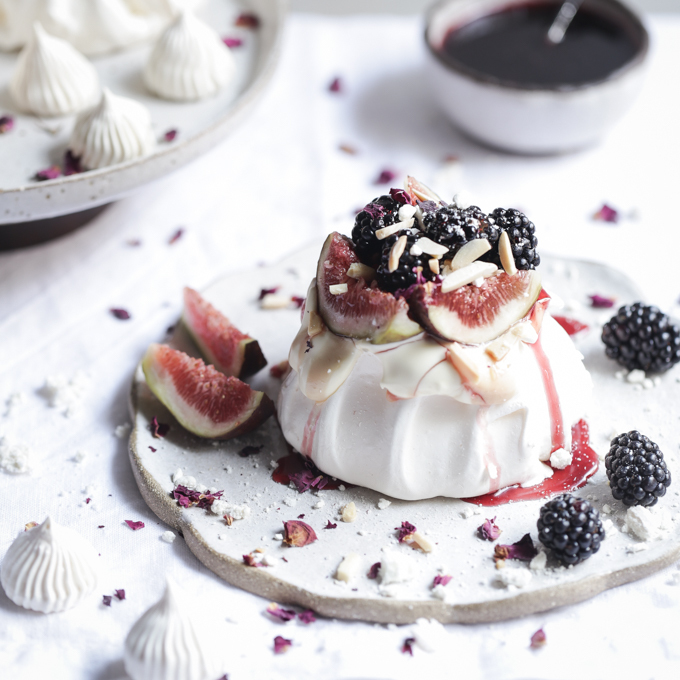 Darling rosewater mini pavlovas topped with fig and blackberry, drizzled in pomegranate spiced syrup and sprinkled with roasted almonds and rose petals. Pre-heat oven to 140°C (120°C fan-forced) and line two baking trays with baking paper. 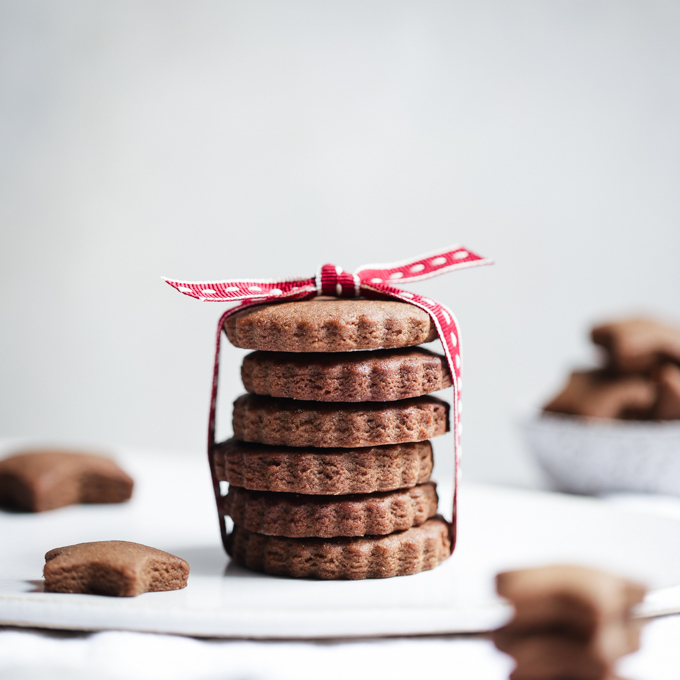 Using a thick black pen and round lid or glass, trace four 8cm (3”) circles on each baking paper, at least 5cm (2”) apart, to use as a guide for the size of your pavlovas. Turn the baking paper over so that no pen marks appear on your meringue later when baked. Place egg whites and cream of tartar in free standing mixer with whisk attachment and whisk on medium speed until frothy. Slowly add caster sugar, teaspoon by teaspoon, while continuing to whisk (this process should take approximately 10-12 minutes). Turn mixer up to high speed and continue whisking until mixture transforms into glossy thick meringue and stiff peaks form (approximately 2 minutes). If you rub a little meringue between your fingers it should feel completely smooth, with no grittiness of undissolved sugar. Sift cornflour over meringue, then sprinkle with vinegar and rosewater, and fold gently to combine. 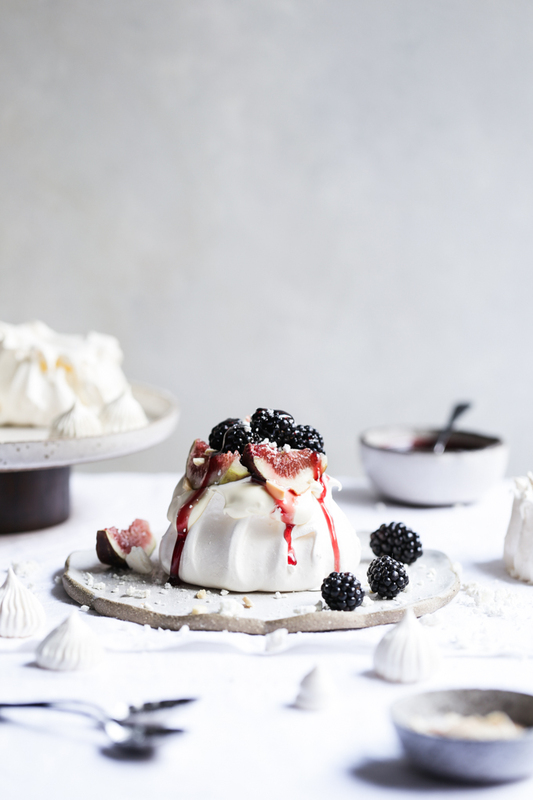 Spoon meringue onto baking paper circles, then use a palette knife to shape the sides of the pavlovas and create a small nest in the middle. Place tray in oven on bottom shelf and turn the oven down to 120°C (100°C fan-forced). 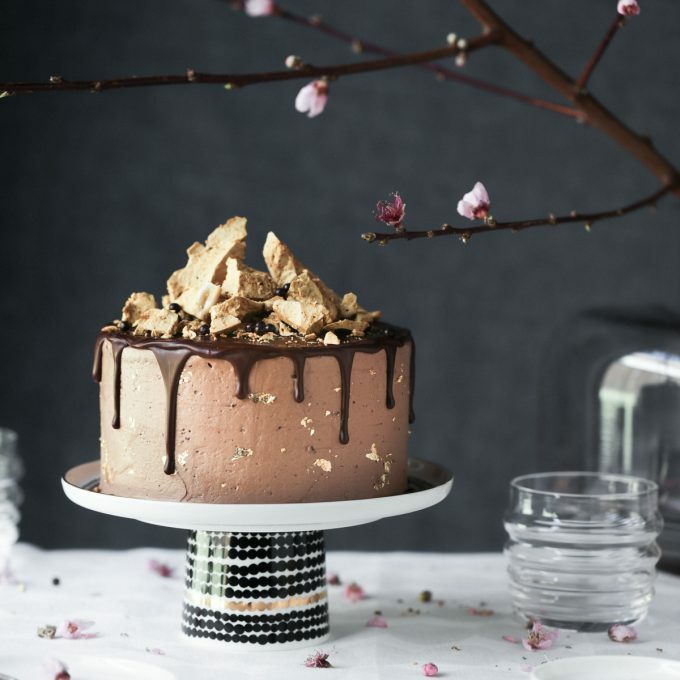 Bake for 90-100 minutes, then turn oven off without opening the oven door and leave pavlovas in the oven for 4-6 hours to allow them to cool down slowly and prevent collapse. Place pomegranate juice and sugar in a small saucepan on medium heat and stir to dissolve sugar. Add cinnamon stick, cracked cardamom pods and cloves then simmer for 15-20 minutes until mixture thickens slightly and coats the back of a spoon. Place rosewater pavlovas on serving platter, spoon with cream, decorate with fresh fig slices and blackberries, drizzle with spiced pomegranate syrup and sprinkle with slivered roasted almonds and dried rose petals.